You can’t miss finding this place. 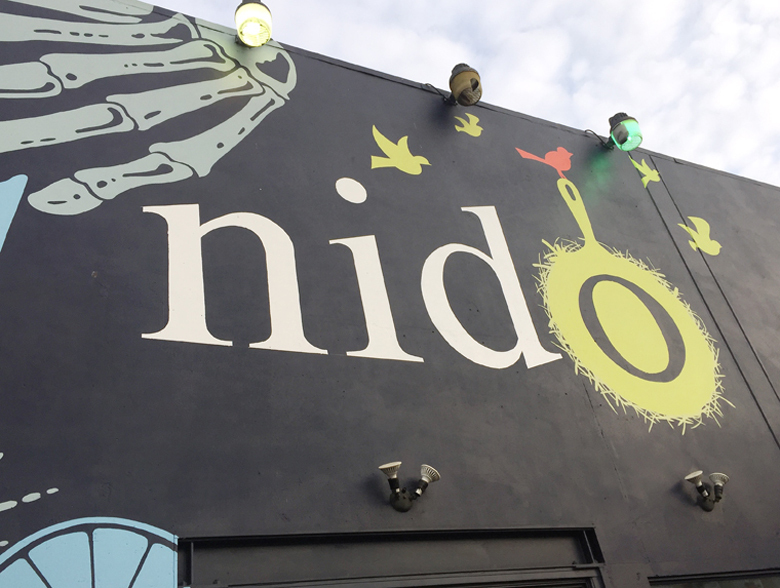 Its name means “nest” in Spanish, and NIDO is very much a comforting place in every sense. This Mexican restaurant was opened in Oakland in 2012 by husband and wife, Cory and Silvia McCollow. It’s colorful and energetic, with a homespun air, as if a bunch of friends got together in a modern-day barn-raising to build a restaurant. Candles in mismatched glass containers give off a warm glow inside, along with a mini disco ball at the front that creates a party-like verve. The bar is built from repurposed wood pallets, giving it a “Gilligan’s Island” can-do look. 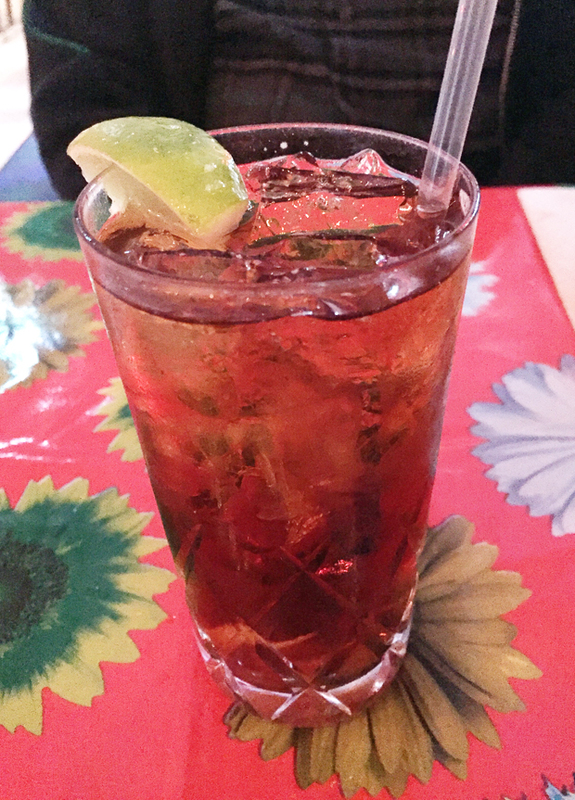 On Sunday nights, the restaurant offers a more truncated menu, dubbed “Sunday Night Tacos & Margaritas.” It’s super popular, too, as I found out, when I went a week ago, paying my own tab at the end. Even before the doors opened at 5 p.m., there were already more than half a dozen people lined up to get in. A cocktail made with black vermouth. 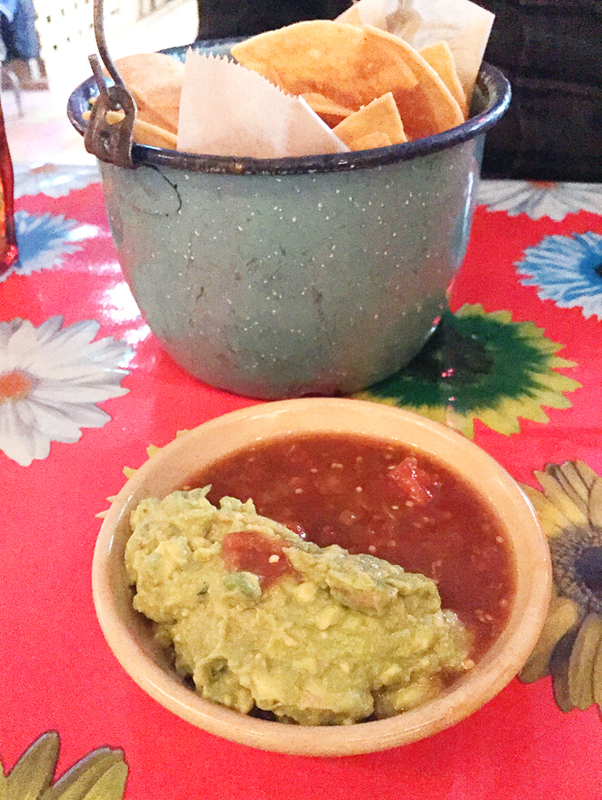 The short and sweet menu encompasses two starters, two large plates, two taco choices, and chips with salsa and guacamole.